Join us in the Christmas Carnival in League of Angels! 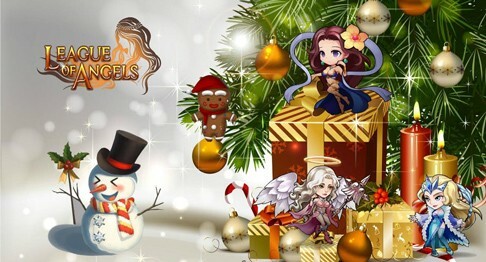 Invitation to Christmas Party in League of Angels! Are you ready for Christmas? The Christmas Party kicks off at 0:00:00AM on Dec. 20th(server time)! 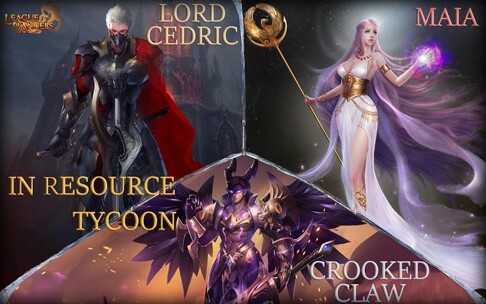 You are all invited to come join the fun in League of Angels now! Let's see what's new here! Description: Merry Christmas! Use your Jingles to open chests and exchange Christmas tokens for amazing items! Maia, Aurora, Hera(and her awakening stone), Kali and Cedric are waiting. You can build your very own Christmas Homestead with brand new components! 1.You can exchange your previous for different jingles on the FIRST AND SECOND day of the carnival(12/20 &12/21)! 2.Slay monsters in Elemental Zone and you will be able to get various keys! 3.Log in game and reach certain devotion. 4.Check out Christmas Time and Christmas Feedback in Hot Events EVERY Day! 2.Opening chests in Christmas Spirit. 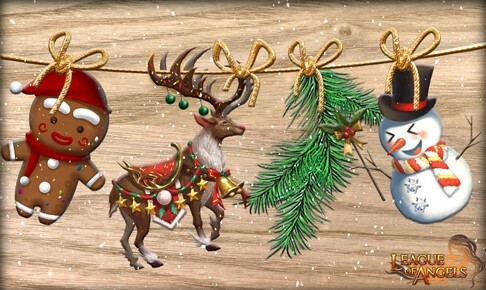 Description: During Christmas Feedback, you can gain different Jingle Bells EVERY DAY by consuming resources and diamonds. Description: Collect the required resources to get Crooked Claw, Unique Equipment Permit, Super Armament Chests, Angel Essence and many other rare items! Gold doesn't count in CS resource tycoon this time. Gain Accesion Stone and Soulstone for 2X points, Enchanted Ore 3X points! Unlike the previous resource tycoon, the FIRST SIX winners in the total ranking will all be able to take Crooked Claw into their squad! Are you excited to get him? In addition, you can exchange Soul Rapier for Styx Guardian during the event if you prefer the arrogant striker! Please note that the above content might be adjusted due to changes of the development plan. Final updates will be determined in game. More exciting events are coming up through Dece. 20th to Dec. 26th (server time), check them out in the in-game Hot Events now!